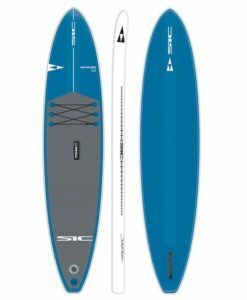 A true classic, the Hobie ATR series is one of the best all around recreational boards available. In it’s third generation, the V3 series stability and versatility provides an unforgettable experience whether its your first time on the water or a seasoned paddler. Light weight and durable, the Hobie ATRv3 is a great flat-water and surfing SUP for the whole family.